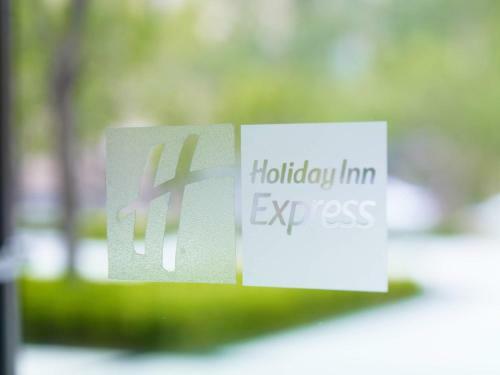 Holiday Inn Express is a 20-minute walk from Tao Ran Ting Station Line 4. It offers modern accommodation with free parking and free Wi-Fi in all areas. 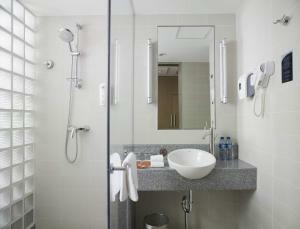 The hotel is a 10-minute drive from Tiananmen Square, Forbidden City and Qianmen Ancient Shopping Street. Beijing South Railway Station is a 10-minute drive away and Beijing Capital Airport is a 1-hour drive from the property. 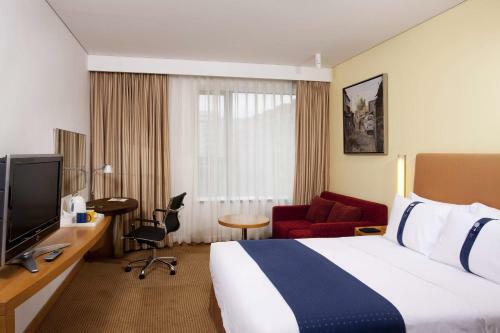 Air-conditioned guestrooms are fitted with a work desk, tea/coffee making facilities and a 32-inch flat-screen TV with satellite channels. The en suite bathroom comes with toiletries and a hairdryer. 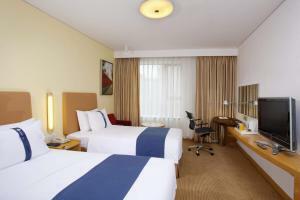 Temple of Heaven Holiday Inn Express has a coin-operated laundrette and a well-equipped business centre. The tour desk can assist guests with making travel arrangements or day trips. Buffet breakfast is served daily at the property. The Great Room serves buffet spreads of Western and Chinese delights. السعر: CNY 462.35 ... CNY 607.50; select dates below to get current rates. السعر: CNY 462.35 ... CNY 601.43; select dates below to get current rates. السعر: CNY 462.35 ... CNY 599.00; select dates below to get current rates.